McLaren Automotive returned to Chantilly Arts & Elegance Richard Mille, Sunday September 4 at Domaine Chantilly for the third year running. The third edition of the glamorous event saw a stunning display of automotive extravagance. 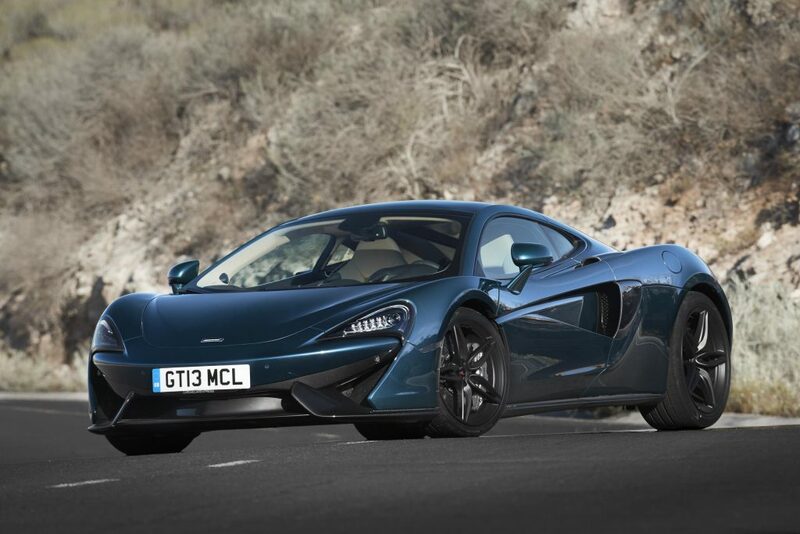 This year, McLaren is returned to showcase the new McLaren 570GT by MSO Concept in Pacific Blue. This model builds upon the recently-introduced 570GT, the most luxurious and refined McLaren to date. An ambition of Chantilly is to bring back the elegance of the 1920’s when manufacturers and fashion houses joined forces to showcase the future of the motor car and couture. This year, McLaren Automotive has been paired with the avant-garde fashion house, Jean-Paul Gaultier to take part in the Concept-Cars parade where the McLaren 570GT by MSO Concept was shown. Featuring a wide selection of MSO Defined options shown together as a single concept, the McLaren Special Operations-engineered car is the first European example of the recently-launched McLaren 570GT to feature a bespoke specification. With this model, the attention is in the detail; as standard, the McLaren 570GT’s carbon fibre interior components are finished with a beautiful satin lacquer but the MSO model goes further with a rich, gloss lacquer for an even more individual and more luxurious look. This beautifully complex, gloss-lacquered MSO Defined option also extends the entire length of the car’s sills. Externally, to complement the interior, MSO Defined delivers a sumptuous gloss black finish to exterior details such as the side skirt, the front and rear ends and the door inserts. This is MSO’s Piano Black finish and exudes an understated elegance and refinement. In addition to the aesthetic additions to this McLaren 570GT, MSO Defined has engineered an exhaust manufactured from titanium which is 30% lighter than the standard offering. This beautiful piece of sculpturing is finished with heat shields in a golden titanium nitride tint, which will naturally change colour to a blue and purple as the system heats and cools through its cycle which can be seen through the cooling grids. The result, to be shown along side a beautiful example of haute couture from Jean-Paul Gaultier, is an elegant, refined and beautiful piece of craftsmanship.